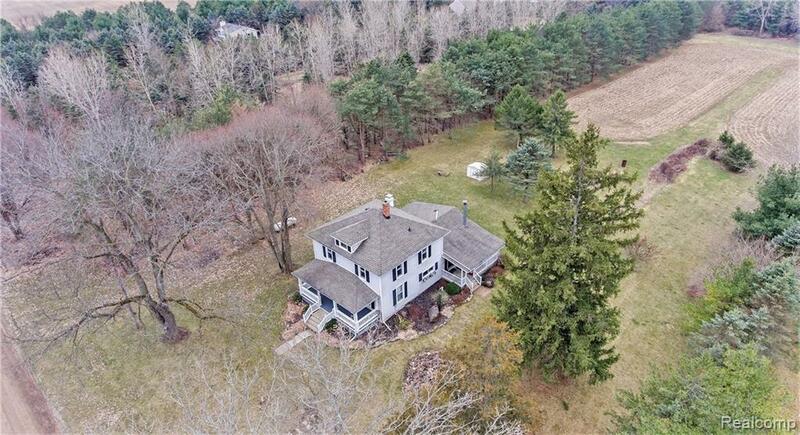 CALLING ALL BUYERS LOOKING FOR A HOME ON ACREAGE IN A PERFECT COUNTRY SETTING! 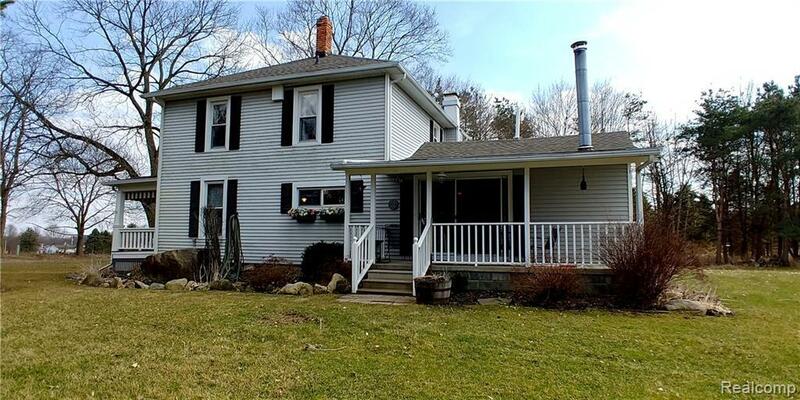 Attractive Farmhouse for sale in Unadilla Twp. 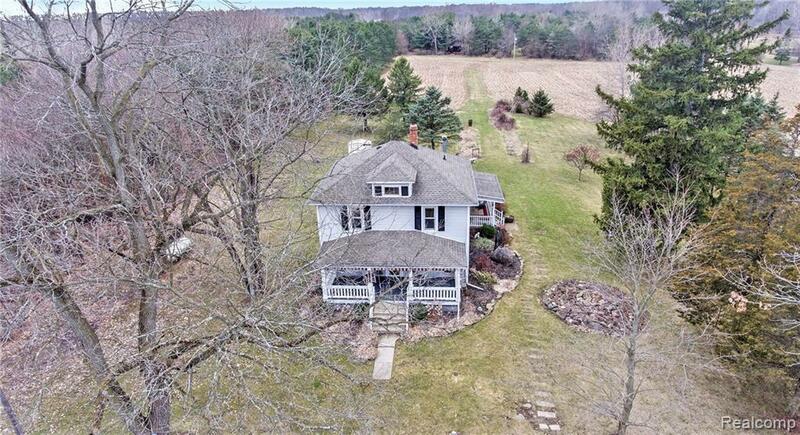 Situated on 10+ beautiful acres, just off paved M-36, minutes to the quaint town of Gregory. When country style weaves together with a little bit modern to a little bit rustic...you have a match made in decorating heaven. 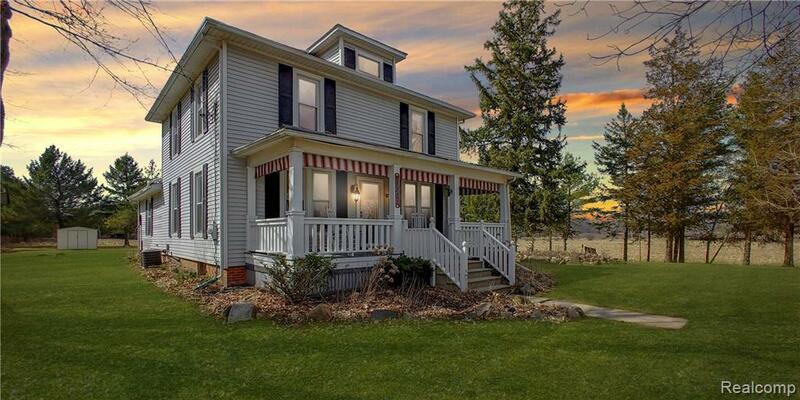 Updates to this home have been completed with a loving effort to maintain it's original charm. Generous sized First Floor Master Bedroom, Full Bath, and Laundry Room lend convenience to new owners. With a total of 5 Bedrooms, there is room to tailor the plan to fit most any lifestyle. Too much character to list. Two barns are located just across the street. A drive-in 34'x50' post & beam hip roof barn and a 30'x60' hip roof barn that includes hayloft. Perfect location for horse lovers as the Lakeland trail is out your door! Relax on either of the covered porches that overlook your farm. Rare property in today's market at this price!